In 1978 I was a 15-year-old Irish-Catholic girl who was raised in an affluent Long Island suburb. I was a good student; I played guitar and sang; I played the violin in a youth orchestra; and I was terrified what other people would think of me if they knew that my father drank. Scarcely ever did I tell others about how my father’s alcoholism could launch our family into misery and chaos. 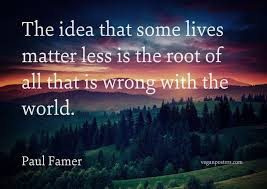 I was the eldest child, and I was “the good daughter.” It is a terrible burden, and, unfortunately, my situation was and is more universal than specific. 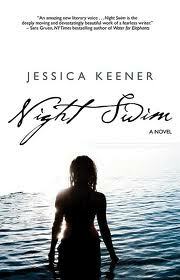 In Night Swim Jessica Keener has brought the Kunitz family to life through the extraordinary first-person narrative of Sarah Kunitz. In 1970 Sarah is a fifteen-year-old Jewish girl who is being raised in an affluent Boston suburb. She is a good student; she plays the guitar and sings, but also studies piano in order to please her mother Irene, who was a classically trained violinist. Sarah’s father Leonard is a volatile but weak man, a frustrated English professor who specializes in Shakespeare. Irene suffers from terrible arthritis, and possesses an emotional fragility which makes her the kind of mother in her children’s lives who is as ephemeral as the smoke from her constant chain of cigarettes. Irene, beautiful, blond, and exquisitely dressed, spends her days drinking scotch and taking pain killers. She and Leonard go through the rituals of a happy family with dinner on the table promptly at 6 o’clock every evening. Sarah, her older brother Peter, and her younger brothers Robert and Elliot try to get through the 20-minute-long meal without falling victim to Father’s wrath. Peter and Robert are particular targets of Father’s verbal and physical abuse. Sarah simply tries, as the only daughter, the best daughter, the most perfect girl, possible. She longs for a deeper, more real connection with her delicate mother Irene. When an accident occurs, Sophie begins to realize just how insubstantial the foundation of her family truly is. She is out in a larger world now that she’s a freshman in high school. While she studies and gets excellent grades, and has a strong, close friendship with another Jewish girl, Sophie, Sarah is fascinated by the Italian-American Margaret, who sits behind her in homeroom. Margaret literally introduces Sarah to the darker side of life by bringing Sarah down to the restrooms in the basement hallways. Sarah begins to copy some of Margaret’s behavior and “bad girl” image, but ever so furtively. Real tragedy happens, and the Kunitz family is completely and utterly shattered. Each child must find his or her own way without any parental guidance. Sarah’s journey from the 15-year-old child to the 16-year-old woman is uniquely hers and unforgettable. However, Sarah finds her own way to adulthood in quite an ordinary, relatable fashion. Jessica Keener’s masterful, awe-inspiring prose is what makes Night Swim such an amazing and exceptional novel. I want to read this beautiful first novel again, and soon, in order to luxuriate in Keener’s writing. However, I need time to allow the real pain and joy of adolescence, and of dysfunctional family, to settle. Night Swim may break your heart. Like Sarah, you’ll older and wiser. And thanks to Keener’s talent, you’ll remember all the very private details of your own burgeoning youth. A beautiful review of what looks like an exqusite book. Thank you so much. Maura, thanks for the gorgeous review of NIGHT SWIM. I'm thrilled to be its publisher. I've read this book twice, and it's even better the second time. Jessica Keener's words come out like a symphony directed by the beloved Arthur Fielder.